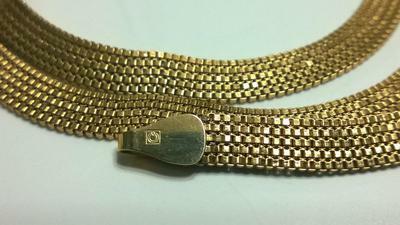 I have a bracelet I recently purchased with the hallmarks of 750 Vl170. Anyway that is what I believe they read. 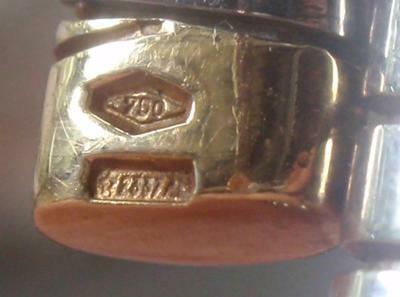 I understand that the 750 is a gold mark, but would like to know what the other markings mean? i have a gold colored brooch with a black intaglio center - is it marked 925 with "AR" letters on one side and a star with a centered dot - can't not find the mark anywhere - looks european? any ideas? I have an old pair of clip on earrings that are marked 900 they are yellow like gold. Are they gold or platinum? How can I tell? what do hallmarks look like on italian gold? Italian Brooch Reverse | Gold 900 mark? This pin is 1 3/8 inch by 1/2 inch. Appears to be Pietra Dura? Marked on back "Made in Italy" and 900.
wondering about the 900 mark and approximate age. Thanks so much for any help. Doug in Kingman, Az. I have a ring that my grandmother gave me and inside it has `750' in one box, a star, the number 1 and AR in another and then some writing in another box that I can't work out. I know the 750 indicates that is is 18ct gold but can anyone tell me what the star1 AR thing is please? Italian Brooch |Gold 900 mark? 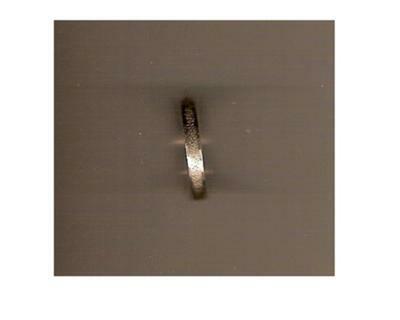 Is my Italian ring Sterling Silver or Yellow Gold? I have a gold necklace with the marking 14KTD ITALY on it. I would like to know if the TD is a marking for someone's initials or if the necklace appears to be gold plated? I have a gold rope chain that is marked 750 an I know that is European for 18K gold, My question is about the mark that is opposite the 750, it is 151AR. I have spent 2 hours looking on the internet without success. I even called a local jeweler. Is this a country code or a manufacturer or designer? I would love to know. Where can I locate the list of Italian Goldsmiths that puts there name with there registered number? Is this bracelet marked " Italy " fake? I have a geogous gold bracelet which says italy stamped italy at 18K also 0.750 could it be a fake? Hallmark "V" within a pentagon - three dots over the V.
Gold Bracelet with markings 14kt and infinity sign inside diamond shape? 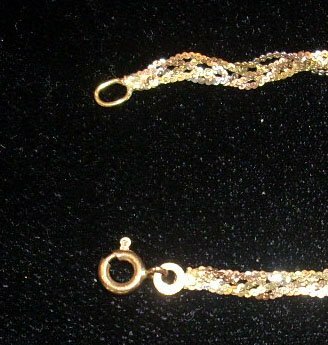 Braided gold necklace marked "Italy" and ? 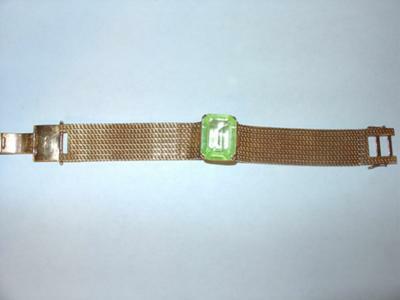 1.The end ring connecting to the clasp has a very tiny star then "156" and "AP". I have not been able to locate any information on these marks. Any help is appreciated. I have included a photo. hallmark of what looks like & above SD. Could you possibly pinpoint how old the box is & where it was made? The 18K Italian Art Nouveau ring pictured above seems to have been made between 1934 and 1944, the period of the fasces symbol for Italy. To the left of the fasces, there appears to be a number 7, a number 1, or perhaps even a hammer or ax. I believe this symbol to be the identifying mark of the maker. How can I find out who that maker was? what does a mark 1181 AR in a box mean for my necklace? i have a white and gold necklace which i purchase. its mark with 750 on the other side and 1181 AR on the other? what does this mean? does it mean its gold and it will not fade? Italian Marks| Made by whom? 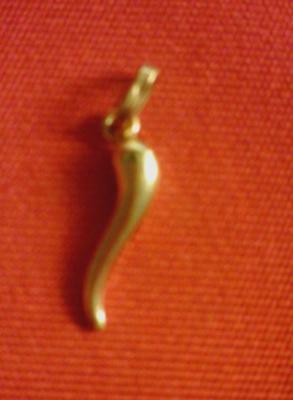 Just looking at a piece given to me & what I can work out is that it's Italian, 18ct gold, but cannot work out who made it? Can anyone help- I have no knowledge of jewellery or hallmarks. I have a five row box chain necklace stamped 10k, Italy, and it also has a box with a diamond ring inside of it (Two etched lines make up the ring in the box). Do you know who the maker is for this piece? 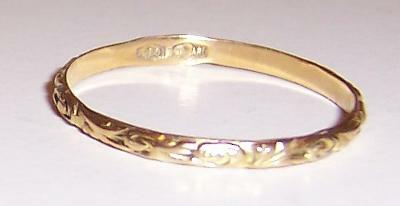 I've got a Italian Gold bracelet and it has a hallmark from ARTLINEA but I´m not sure if it says 519 AR or 539 AR besides a star. I was looking on Artlinea website but it doesn´t show nothing, could somebody tell me if it´s original please..?